Lyme-TAP program funds are temporarily depleted. We are currently not accepting applications. Please check the website regularly for reopening when funds are available again. The Lyme Test Access Program (Lyme-TAP) is a nationwide patient assistance program offered by Rotary Club of Southwest Eureka Foundation to provide assistance for initial Lyme-related lab tests to patients who demonstrate true financial need. To view eligibility requirements, click here. To download the application, click here. If approved, you may be reimbursed for up to 75% of the list price that the labs publish for testing from a qualified CLIA/Medicare approved laboratory of your choice. Most of the laboratories publish the price of their lab tests on their websites. Third-party charges for lab tests may vary from the actual list price charged by the labs. Funds are limited & are available on a first-come, first-served basis. Children under 18 years of age are given priority. The intention of this program is to help as many patients in need as possible. It is not intended to cover insurance deductibles or to cover patients not truly in financial need. Payments of approved grants may take several weeks. This nationwide assistance program was made possible by a very generous donation from IGeneX Inc., a CLIA/Medicare licensed laboratory. Any CLIA/Medicare licensed laboratory may be selected for testing: you do not have to use IGeneX for this program. We invite other laboratories to support this program by making a donation to Lyme-TAP. If you have any questions regarding this program or how to make a donation supporting this program, please contact us via email at: info@lymetap.com. Disclaimer. 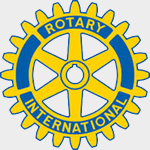 The Lyme Test Access Program is a grant program offered by Rotary Club of Southwest Eureka Foundation to assist applicants who have financial hardship by reimbursing a percentage of Lyme-related lab tests (performed by any CLIA/Medicare approved lab) that is deemed necessary by their healthcare provider. The program is not intended and should not be construed as giving medical advice or as endorsement of the necessity of or the reliability of any lab test ordered by your physician or of any treatment recommendations by your healthcare provider. 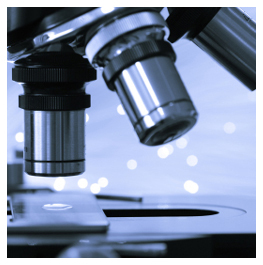 Rotary Club of Southwest Eureka Foundation does not warrant or endorse and specifically disclaim any liability for loss or costs incurred by patients related to the validity or results of any lab test, delays, or medical treatments. Any determination of eligibility for grants by Rotary Club of Southwest Eureka Foundation shall be final and subject to their sole and absolute discretion. We want to say thank you so much for the grant we received for our Igenex testing. We are self employed and do not have any kind of insurance. Your generous grant helped so much and is so appreciated! Keep up the excellent work helping families hurt by Lyme. I would like to say a big THANK YOU to Lyme Tap and everyone involved for all the great work you are doing to help others that are eligible, and all in such a timely and professional manner. I could not be more pleased! It will be a big help to me as I have incurred many debts due to fighting Lyme. We are not currently accepting applications pending future funding. We are a 501 (c)(3) organization so your contribution may be tax deductible.